Another #WednesdayWander for this week. Again I waited until after my Japanese lesson to do some shooting. I had a plan to go to a beach I hadn’t been to, but decided to save it for a sunset, so I’ll do that this Friday. Update to the JapanesePhotos Instagram at: http://bit.ly/2l8CQsk. Earlier this week, AirBnB removed a whopping 80% (about 50,000) of their properties from their lists, stranding travellers, and financially hurting hosts. This was an (expected) shock to many. In March of this year, Japan passed a new law restricting AirBnB hosts from letting out their properties for more than 180 days a year; and requiring registration. Most hosts ignored or delayed the registration. The law is due to come into effect on 15th June; however, AirBnB preemptively removed the unregistered hosts early on the 7th June. Apparently, most property owners are Chinese, and didn’t take the notice seriously. How true this is, is unknown. 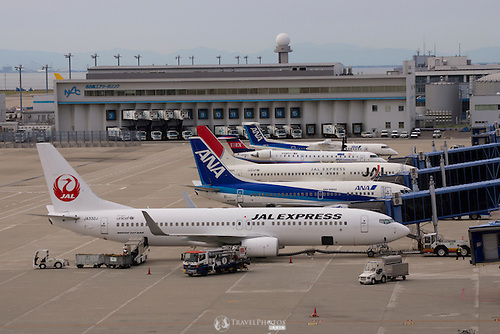 Among the issues is why would Japan make such a law, especially in the final two years before the Tokyo 2020 Olympics, and when another 12 million tourists are expected to be added to the already all time high of 28 million a year flooding into the country. In any case, with 50,000 AirBnB properties suddenly de-listed, what happens now? Many travellers are suddenly without accommodation, and are certainly considering cancelling their plans, or restricting their travels to only places to where there are hotels still available. A friend of mine is suddenly stranded and may need to completely cancel her trip to Japan next week. Me, I was to assist in the photography of a major sporting event next weekend, but now my accommodation is suddenly unavailable. I wonder how many competitors will have to withdraw. It is certain that the company AirBnB will hurt, at least in the short term, because of all the refunds they have to issue. 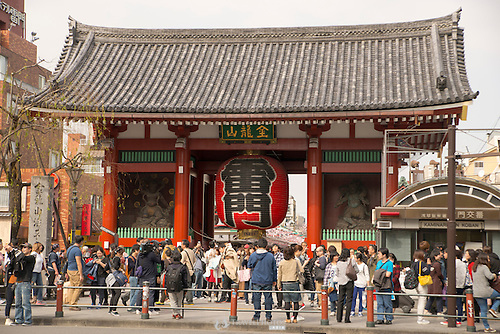 However, the month of June will certainly see a sudden hit to the Japanese tourist economy. This seems like a calculated move made by AirBnB to bring the Japanese tourist industry either back into line, or into reality. AirBnB de-listed the properties not in the middle of the month, but early; probably to emphasis the size of the loss in revenue for the whole month. It is hard to tell which. It will be interesting to see how the tourist industry will respond, and if they will put any pressure on the government to change the rules. It appears that AirBnB lobbed their first shell over Japan’s bow. I have my own mixed feelings and experiences with AirBnBs. However, it seems many Japanese just don’t like it, and even hate it. Here, I’ll discuss how I’ve used AirBnBs, my experiences, and then why many Japanese hate it, and why some seem to love it. However, what is the real reason for the bitterness felt toward this social innovation? I’ve used AirBnB just three times. The first was for a photo shoot (as shown here), and the other two were for personal family travel. The photo shoot house was chosen because it’s fairly typical of a Japanese style house, which is slowly going out of existence. There are plenty of wood floors and tatami rooms. Tatami rooms are the rooms with the rice-straw woven mats called “tatami”. 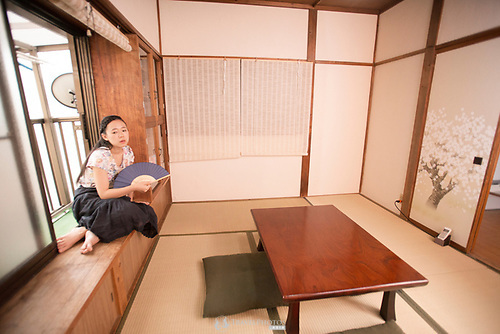 These tatami rooms are places where you sit and relax (on the ‘floor’); whereas wood floors are where you traverse or have furniture (like tables, chairs, desks, bookcases, etc). The one I stayed in Yokohama was Japanese owned, and seems to be an old family residence that was no longer in use. I assume because the family bought new property, or moved to some other city or country. There are some companies that routinely send their employees on stints in a variety of places. It’s normal for families to spend three years in places like the US, Belgium, or another Japanese city. However, if the company sends the employee to China, Thailand, or India, (it’s always the man), it’s usually the husband who goes alone, whilst the rest of the family remains in Japan. The houses I’ve stayed in were all two stories and well equipped. They all have washing machines, ample space to lay suitcases out, and plenty of space for plenty of people. The Yokohama house I stayed in had lots of bedding (which of course is laid out onto the tatami), so it could house a whole football team. There were some creature comforts like books (in English), cushions, kitchenware, TV, air conditioner, slippers, cooking tops, full size fridge, and basically all you would expect. The house I stayed in for my Rabbit Island trip had diningware, however, I couldn’t find it anywhere. It was when I was about to leave did the host open a cupboard that looked like wall decoration, did I realise that I could have had cereal from a bowl like a civilised human! (No, I won’t say anything more on that). Some hosts even supply a folder with instructions on where the local supermarket is, what to see in the area, translations for using the TV remote, and other helpful info. The house I stayed in for the Rabbit Island trip was chosen simply because there was no other accommodation available. AirBnBs can be in places where there is not enough tourist traffic to support a hotel, and can plug the gap when hotels are filled. It was even touted by some journalists that AirBnB hosts can help house the roughly 40 million tourists expected to swarm Japan in the Tokyo-Olympic year. So, there are some definite advantages to choosing an AirBnB; however, not all is great. A main reason why I’d still choose a hotel room is because it can be cheaper. An AirBnB might be half the price of a hotel room per night. However, hosts almost always charge extra for cleaning, which can be more than the overnight fee; making a single night stay actually more expensive. Though, if you need a “home base” for week, then an AirBnB would make sense, and is cheaper. Similarly, if you’re travelling with a large group of people or an odd-number group of people who can’t share beds, then it also makes sense to avoid the pigeon-hole system of hotels, which allocate people within their rigid system of single, twin, and double beds. For solo travellers, hotels can be cheaper, but groups can make huge savings with AirBnBs. AirBnBs aren’t always so great. The one I stayed in for my Rabbit Island trip had a downstairs room that we were told “never to enter” (immediately all the Hollywood B-grade horror movie plots came to mind). The down stairs area isn’t very well secure; it looked like it would be very easy to jimmy open any window or “locked” door with nothing more than a metal school ruler, kitchen spatula, or something similar. Peering through one of the many gaps, I saw the downstairs room would open immediately on to the street had two very old hairdresser chairs, and it looked like it had been abandoned for many years (think Hollywood b-grade horror movie scene… at the start of the movie). The Yokohama property I stayed in seemed like it was only recently renovated (I am grateful). However, the place my visiting family and I stayed in in Nara was a small disused bar (as in whiskey, bourbon, sake type of ma & pa establishment), and an upstairs living area where we stayed. The Nara property was ok, just a bit weird for my visiting family to see. In any case, it was the last place available to book in Nara. The Rabbit Island property we stayed in, we didn’t meet the host, but was managed by her friend, who was… nice. She picked us up from the station really late at night, and showed us in. Gave us a quick tour, and left us to it. She even left a head of cabbage in the fridge that we could use to feed the rabbits at bunny island. On the final day, she allowed us to leave our bags there, even overlapping the time a new guest was due to arrive. I felt a bit awkward about this, and felt a bit insecure. The new guest was a girl from a northern European country who seemed much too hot (like me… temperature hot, it was the worst part of summer, and the house had no air conditioning), to be bothered with socialising. The host’s friend made us cool drinks, and gave us a Japanese style sweet to enjoy. However, I wanted nothing more than to escape to the cool of an air conditioned train and get back to Nagoya for dinner. Socially it was awkward. I was making pleasant hints that I need to leave, she was insistent that I stay and chat. I suppose she imagined a parlance of travelling minds and interesting anecdotes. I suppose it happens, but not that day; not when heat stroke was tempering the situation. Despite the advantages of AirBnBs, many in Japan does not seem to understand the importance that they now play. First problem is, by the government’s own reckoning, there is not enough accommodation in Japan to meet the demand for the Tokyo Olympics in 2020. Restricting hosts to being allowed to let out their properties to a maximum of 180 days in a year, means that the whole venture is probably not profitable anymore. This, in turn, will discourage participation in the accommodation sector, giving hotels an advantage, but also causing many to bail out of the hosting business altogether. In the short term, I’d expect to see a sudden lot of unwanted properties on the market, which would have few takers. Secondly, it will make some regions in Japan that have recently enjoyed a boost in tourist numbers, and money coming in, suddenly out of reach and abandoned. Tourists are less inclined to go to a remote town if it is too far from their accommodation. Rural Japan does have some train and bus services, but not enough, not frequent enough, does not run late enough, and not enough companies provide even minimal foreign language information support. Kyoto residents have already recently described the mass of tourists that deluge their city as “tourist pollution”; yes, I am offended. I don’t like to be referred to as “pollution”. However, this phrase packages a lot of nuances of Japanese life, and how the Japanese contrast themselves to tourists and travellers. Japanese are typically very quiet, keep to themselves, and almost never talk to strangers. In contrast, at tourist attractions, Chinese tour groups tend to swarm and crowd out all other people, making the experience unpleasant for everyone else. Mind you, Japanese and Korean tour groups did the same to me in Italy and Hungary in the mid naughties. In the meantime, some Western travellers try to make friends with the locals, who just want to be left alone. Also, many travellers will face moments where they need to ask a local for help, but many Japanese are not confident in their English listening and communication abilities, and so face high anxiety at these moments; they just want to avoid interactions with foreign travellers. Furthermore, Kyoto public buses are often so overcrowded at peak times, that locals now avoid them, and try to use the subway instead, even if the walk to the nearest station is inconvenient. Tourists waiting at a bus stop in Kyoto in the evening. Another point that Japanese tend to complain about, and it seems specific to Chinese tourists, is the manners. Typically, Japanese wrote off the manners of tourists as being “their culture”, and were tolerant of the differences of behaviour. All cultures have ways of showing manners and being polite, though different. In some countries, an action can be seen as essential for politeness, whilst others unnecessary. For instance, after a financial exchange Westerners thank the staff at the shop, and engage in small talk, though unnecessary in Japan and even inconvenient for others waiting. 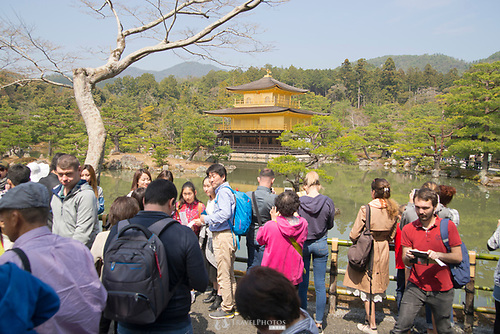 However, Chinese tourists typically show complete disregard and even contempt for Japanese shop keepers, leading some stores to have “No Chinese Tourists Allowed” signs. Many restaurants do not provide multilingual menus; some businesses even purposefully do not provide multilingual websites, booking forms, or any hint they wish to seek foreign money. It is interesting to see the self-assuredness of some business that they don’t need additional money. So, what is their motivation? Some businesses claim because tourists ruin the atmosphere of the place. We are noisy, and talk in foreign languages. Another complaint I’ve seen in Japanese news was the noise that late arriving travellers make. Some AirBnBs are simply regular apartments in regular buildings, where regular people and families live. Travellers often do not even consider the noise they make when they arrive late in the evenings. The noise levels might be ok for their own countries, but Japanese try to be as quiet and considerate as possible. This has led to conflicts in buildings where some apartment owners were told that AirBnB hosting is simply banned by popular vote of their building-owners’ association. 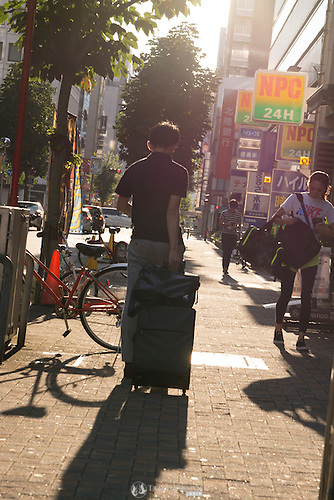 A final point to discuss is the Chinese ownership of many AirBnBs in Japan. I’ve not seen any data on the number of properties that are Chinese owned and listed on AirBnB, but I suspect it is not much. However, local media probably report that the number is disconcertingly large; in the same way Japanese media blame all crime on us foreigners (the actual crimes per capita amongst the expat population is less than the Japanese population). I don’t understand Japanese peoples’ resentment for Chinese property ownership myself, at least, without considering that racism must be a key reason. I haven’t heard what the discussion is, just simply there is local opposition to Chinese accommodation ownership. From what I understand, the number of properties owned by Chinese for AirBnB hosting is not a factor in local housing prices, or any other societal problem. The only conclusion I can come to is just opposition to Chinese ownership, and the flow of strangers into local neighbourhoods may have reached a breaking point. We are only two years away from the Tokyo Olympics. It seems AirBnB is not the actual problem. It seems Japan is in fact in a love-hate relationship with the idea of letting the outside world in. 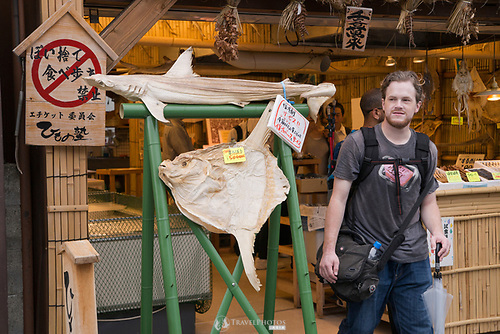 Japan wants the tourist money, but not the tourists. Japan wants to show off its acheivements, but it doesn’t want anyone in to actually see it. Japanese pride themselves on their manners and hospitality, but only for other Japanese. These photos and more are available at my portfolio for immediate licencing. Contact me if you wish to publish this story, or a version of it.